Welcome to Lakeside Miniature Schnauzers! I hope you enjoy your visit! I have a variety of services to offer those who enjoy this breed as well as other dog lovers who want the absolute best care for their dogs. I have been breeding and exhibiting Miniature Schnauzers for 28 years. 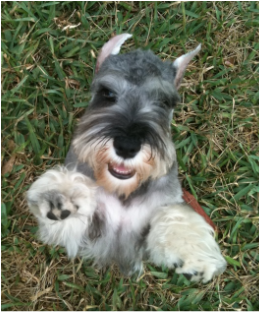 I have also shown other breeds to their AKC championships but the Miniature Schnauzers are my first love. I show in conformation, obedience and agility in AKC as well as other registries. I show here in the United States and also on the international level. I have shown at the 2007 World Show in Mexico City, Mexico and have also shown in the 2011 World Dog Show held in Paris, France. I offer grooming and boarding services. My facility is located next to my house in a free-standing building which is climate-controlled. I also groom most breeds #40 and under and board most all breeds. I, on occasion, have puppies available (please visit my puppy page) and young retired adults. I also have show prospects available at times and offer stud service to select females. I do also offer professional handling services as well.